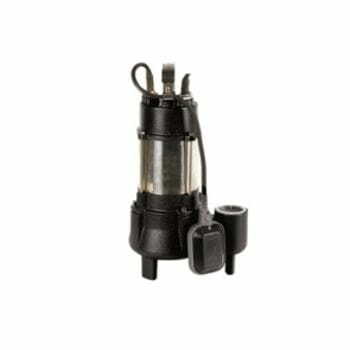 Robust submersible pumps for drainage of sewage and with diameter of solids up to 50 mm. Pump body, motor support and top cover in cast iron. Motor body in stainless steel. Manufactured with two-pole induction motor and with thermal protection in the single phase version. Supplied with cable with plug, capacitor and float switch incorporated. Ideal for use with septic tanks and the transfer of water with solids.